#11- 5’8 ’25 Eli Ellis- The strong-bodied guard was among the youngest players from the first set of games, but more than held his own. He’s a leader with a tight handle and strong two-way feel for the game. Ellis effortlessly creates scoring opportunities and has the three-level ability to apply constant pressure as a penetrator or shooting threat from the perimeter. He sees the floor well and makes the right play on a frequent basis. 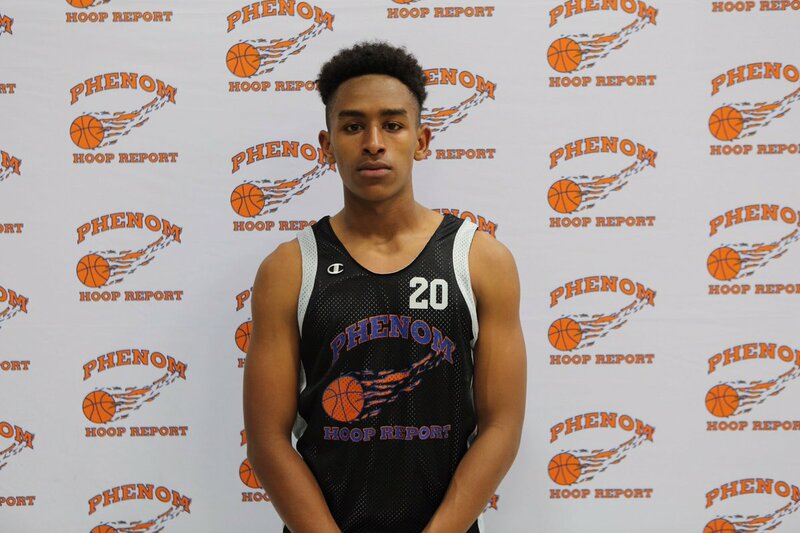 #20- 5’6 ’24 Asher Brown- The guard prospect was one of the more productive performers during the first slate of games. He utilized his size and strength extremely well to attack and make plays within the paint. Brown finished nearly anything he attempted and showed some quality leadership skills. #24- 5’7 ’23 Caleb Senyo- The point guard prospect made great decisions with the ball in his hands and quickly emerged as one of the most reliable playmakers on this team. He sees the floor quite well and scores as needed, but can generate offense from all three levels. Senyo is somewhat wiry, but does a great job of staying involved and making plays for himself and others. #26- 5’4 ’24 Sydney Maines- The only girl in camp caught opponents by surprise with her impressive feel for the game and ability to make plays on both sides of the ball. She has great instincts and positions herself extremely well on defense. Maines has nice size and displays fantastic shooting form along the perimeter. #23- 5’7 ’21 Kabe Ellis- The point guard prospect has been one of the most complete floor generals on display. He’s so smart, makes excellent decisions with the ball, and is capable of scoring reliably from all three levels. Ellis is sharp and crafty, which is a big part of what allows him to dictate the offensive action. 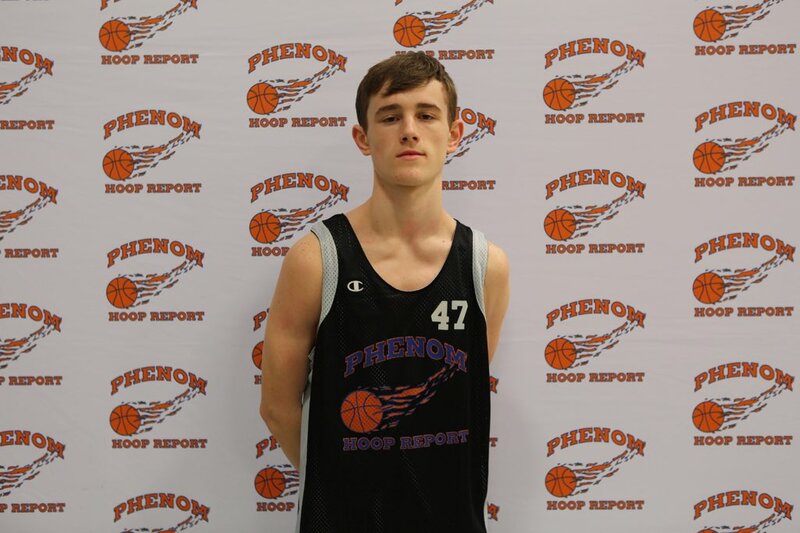 #40- 6’4 ’20 Lucas Jenkins- The wing prospect has a nice blend of size, skill, and athleticism, which allows him to attack the basket at will. He’s strong and does a terrific job of affecting all facets of the game. Jenkins is unselfish, but knows how to take over when his team is in need of a basket. He rebounds well for his position and defends with great consistency. #47- 5’11 ’21 Hamilton Campbell- The point guard prospect has easily been among the most exciting players with the ball in his hands. Campbell has impeccable vision and sees the entire floor at all times. He is extremely smart and has an incredible amount of craftiness, especially when attacking. Campbell finished basically anything he attempted inside and simply made reads that other players simply cannot. #95- 6’9 ’20 Obinna Anochili-Killen- The long, athletic forward is certainly the top long-term prospect in attendance. He plays so hard and has the body to really disrupt all types of opponents. Anochili-Killen isn’t much of a shooter, but does literally everything else at an extremely high level. He’s going to be a monster, especially if his skillset continues to expand. #2- 4’11 ’25 Dionte Neal- Though undersized, Neal has been among the smartest playmakers on display thus far. He understands how to create for himself and others, but offers an excellent balance between scoring and passing. Neal plays with a strong motor and causes problems with his defensive prowess. #4- 5’0 ’24 Xavian James- The lead guard lacks true size but makes up for it with an abundance of heart and passion. He plays with a phenomenal motor and utilizes his quickness exceptionally well on defense to contain his on-ball assignment and force turnovers. James has a strong feel for the game and consistently makes great decisions with the ball in his hands. #12- 5’5 ’26 Isaac Ellis- Though young and somewhat small, Ellis has been extremely impressive throughout the day, especially as a shooter. He has an excellent feel for the game and is capable of filling it up from all three levels. Ellis gets downhill, attacks with purpose, and willingly looks to make plays for others. #49- 5’11 ’24 Trent Noah- The strong-bodied guard has arguably been the most polished and productive middle school player on display. Noah has an advanced frame and is capable of playing all positions on either end of the floor, but typically initiates offense and operates as the main creator for his team. He can score from anywhere on the floor and utilizes his body well when driving to the basket.